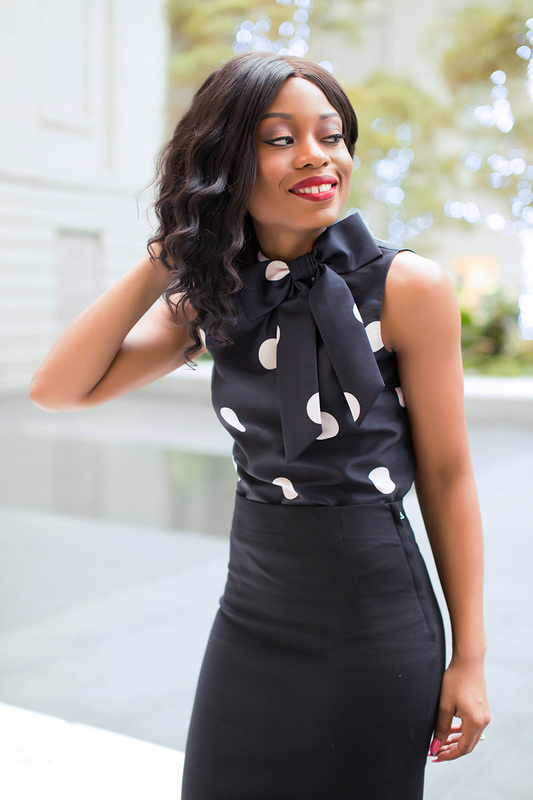 For work styles, I like pieces that are fun and classy with lovely prints and patterns. 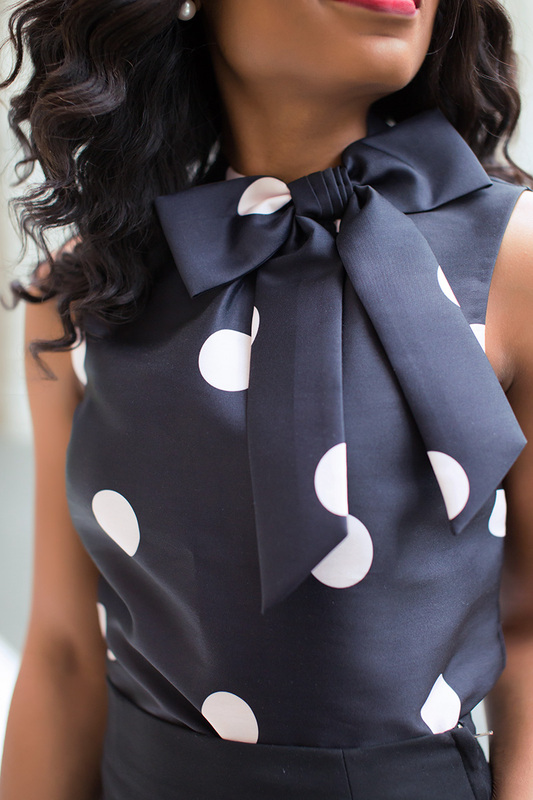 This polka dot bow top was exactly what I needed; the bow and polka dot detail added a fun feel to my work look. I completed the look with a classic pencil skirt and pumps. You look amazing!! Awesome look!! That top is a real classic beauty.